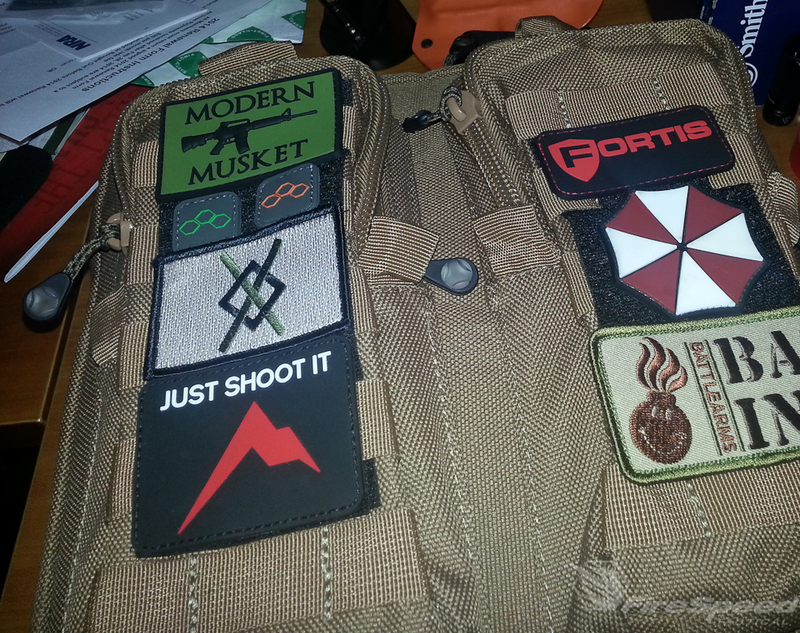 Ok, so we have all been collecting those awesome patches manufacturers have been giving us with our purchases, but where to put them? 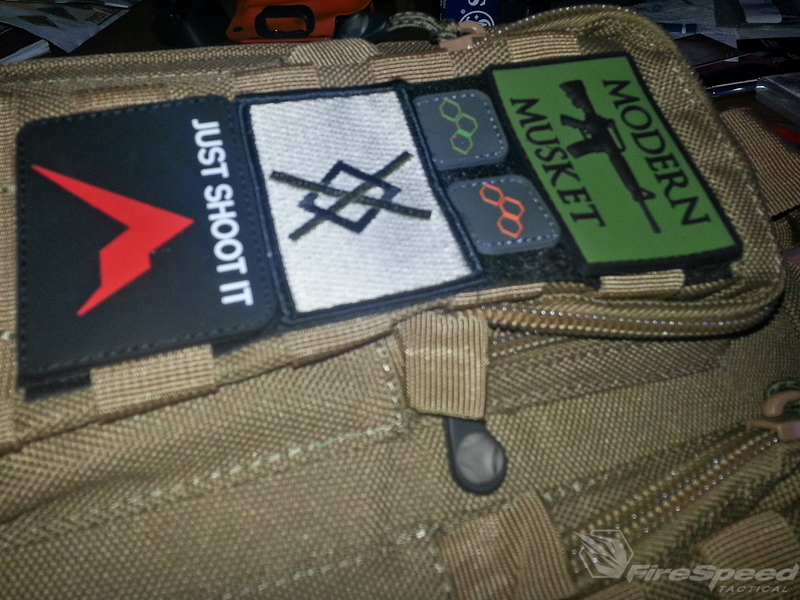 I have a bunch of bags with unused molle straps. Lets put them to use! 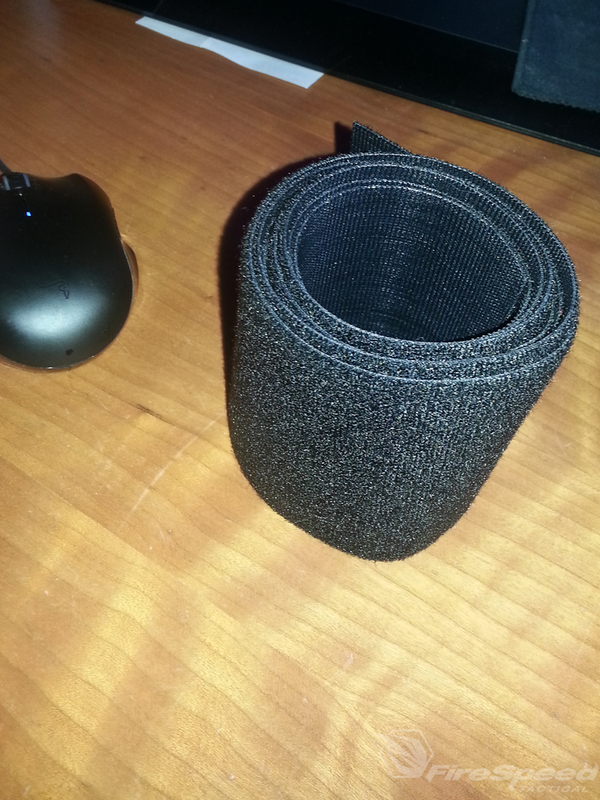 I had a spare roll of 3″ wide velcro sitting around that has “hooking” on the back and loop on the front. 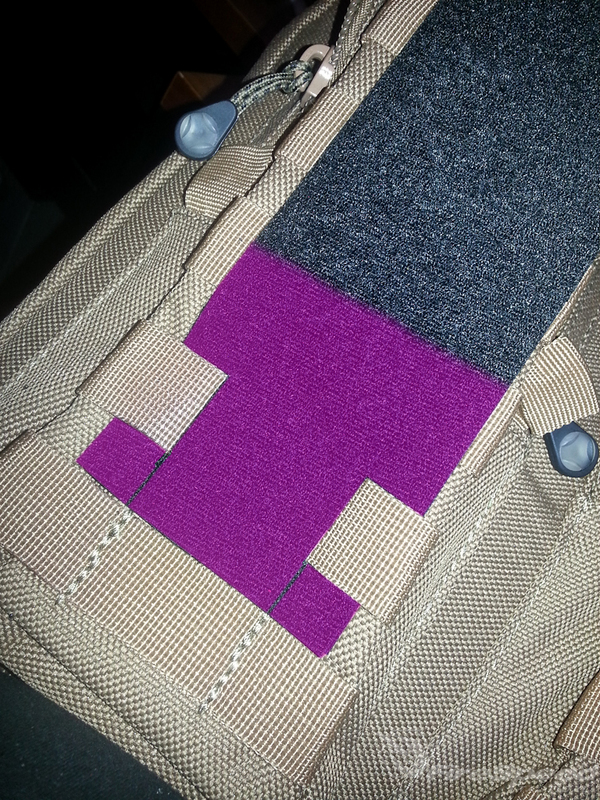 I laid down the velcro over the molle straps to estimate the size I wanted before cutting. I took into account the part that extends past the straps to secure the total velcro piece. 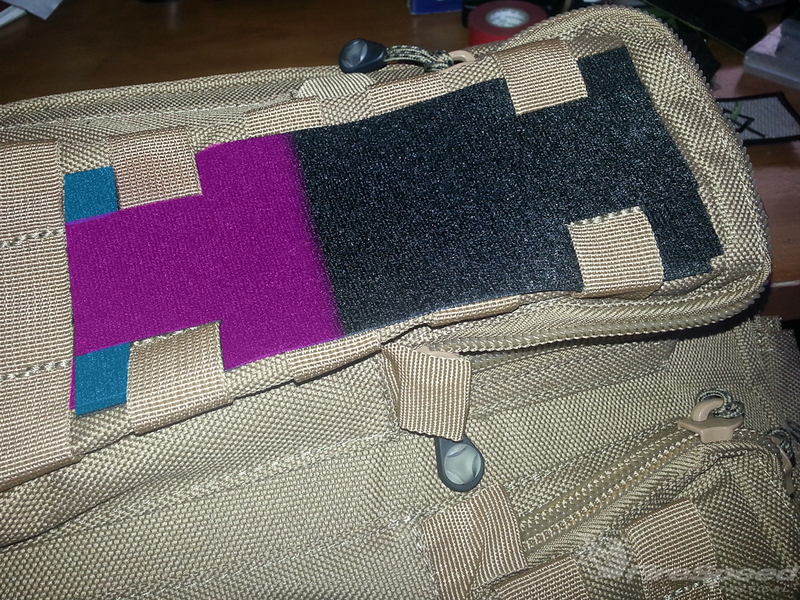 I cut a piece of velcro off the roll that is the width between the molle straps (depicted in blue). I then pushed the outside “legs” of the velcro backing piece behind the molle straps and left the center to come over the top of the straps. I then took the lateral piece and put it over the outer legs and behind the center piece. This locked the velcro backing piece into place. All done! Now you can throw on some of your favorite patches.